Welcome to Best Engineers Calibration Offer Lab Equipments, Digital Micrometer Calibration & Services. 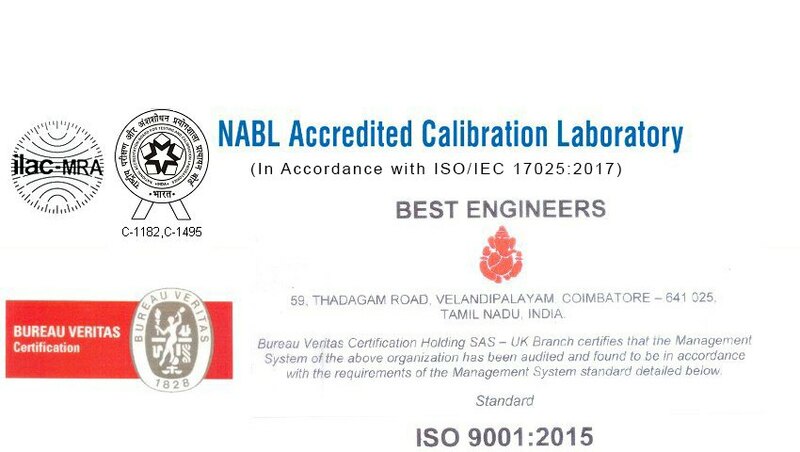 We are an ISO 9001:2008 certified company, incorporated in 2012, at Coimbatore. We are a Member of ACII, COINDIA & SIEMA.Complete client satisfaction & competitive prices help us to serve Clientele like Deccan Pumps & Aditya Engineering. 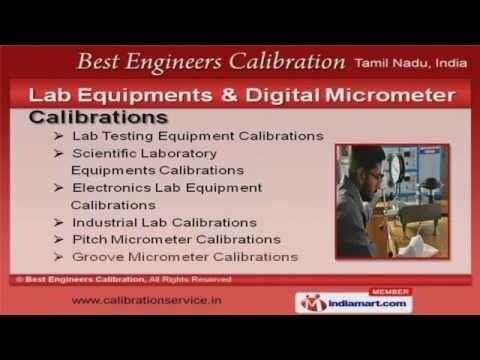 Calibration Services, Lab Equipments & Vacuum Calibrations are some of our Products & Services.Our Calibration Services are superior in performance.Lab Equipments & Digital Micrometer Calibrations offered by us are best in the industry amongst others.Our Pressure & Vacuum Calibrations are some of our best selling products. We also provide Meter & Temperature Calibrations that are a class apart.Along with that we offer Calibration Equipments that are acknowledged for their functionality.